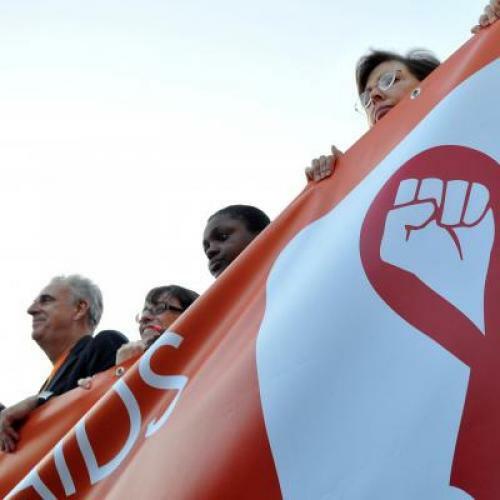 When delegates began arriving for last week’s 2012 International AIDS Conference, the significance of the setting was clear. Facilitated by the overturn of the decades-old INS barrier on HIV+ travelers, this year marked the first time the annual conference was held in the United States in 22 years. Bringing together scientists, doctors, policy specialists, activists, and (most notably) people living with AIDS, the conference was sure to celebrate the recent successes in the fight against the deadly epidemic (aided, of course, by a pledge by the Obama administration to dedicate an additional $150 million to AIDS research). But, given the United States’ troubling history and continuing struggle with the epidemic, the atmosphere of calm surrounding the conference—particularly among Americans—was striking. And for those activists who still remember the tension of the San Francisco conference in 1990, this year’s conference was, in some ways, markedly more unsettling. This came to a head at the 1989 International AIDS Conference in Montreal, when members of ACT UP snuck into the conference by making fake IDs and seized the stage during the opening ceremonies. Medical presenters were interrupted with chants and protests, and the entire conference was eventually subsumed by anger. The organizers of the 1990 International AIDS Conference in San Francisco were clearly aware of the potential for similar displays of massive disruption by activists. “In an effort to placate us and make sure we didn’t disrupt San Francisco, they invited an activist to speak,” Peter Staley told me. Representing activists and people living with AIDS, Staley delivered a speech bemoaning the increasing divide between activism and science. Of course, when Staley took the stage during the San Francisco conference, audience members couldn’t see the scores of police officers stationed behind the curtains. To Staley, the officers—fully clad in riot gear—were a reminder of the uneasy relationship between AIDS activists, the medical community, and members of government. To conference organizers, it was a guarantee of civility. But those earlier successes have left an ambivalent legacy. For the activists present at the San Francisco conference, the newly optimistic tone at this year’s event seems more like an uncomfortable disregard for the history of the AIDS epidemic in the United States and a dangerously premature gesture of triumph. Nowhere is this more present than in the rhetoric surrounding the conference of a “generation without AIDS,” which cuts like a two-edged blade—on the one hand, it may galvanize action, but on the other hand it may breed complacency. This was a notable cause of concern for many activists who attended a screening and panel discussion of David France’s documentary “How to Survive a Plague,” which recounts the history of ACT UP’s activism in the United States. Indeed, many AIDS activists and doctors are quick to point out that there’s still plenty to be angry about. The most recent Center for Disease Control report on HIV infection rates in the United States is nothing to ignore. Forty percent of all HIV infections occur in people under 30 years of age. Last year, young gay men saw a 50 percent increase in infection rates even though every other demographic saw a decrease in infection rates. And the black community is—and has been—overwhelmingly and disproportionately affected by the disease, which clearly emphasizes underlying structural problems allowing the disease to spread. Today, it would be helpful to recall that the AIDS activism of the ‘80s and ‘90s was not a simple lashing out, but a concerted collective action by a group of people beleaguered by the AIDS epidemic. If we are really to see a generation without AIDS in America and in the world, it’s not irrational to assume we could use a bit more of such anger today.